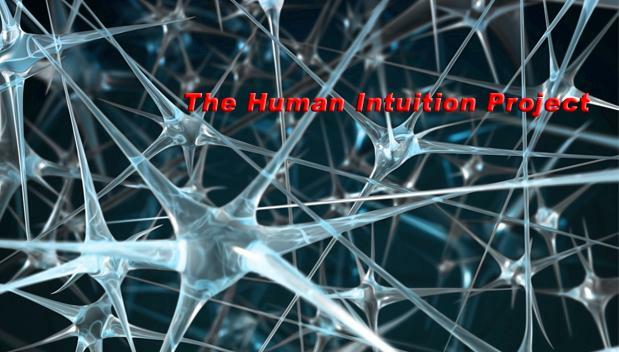 The Human Intuition Project: Which mechanisms enable intuition? In a previous post, we have asked which mechanisms enable intuition in humans (and other animals). When compared to humans, the Sphex does not seem to feel any discomfort and seems happy to be stuck in a rut. A human would most probably feel increasing tension when something annoying like that bugs us. The Sphex, by contrast, does not seem to have those funny feelings. How do these funny feelings (that something is wrong) work? Perhaps it's time to point out experiments that shed some light at how our very subtle intuition is processed. Both concern unconscious learning. Hefferline, RF, Keenan, B, & Harford, RA, (1959) "Escape and avoidance conditioning in human subjects without their observation of the response", SCIENCE 130: 1338-1339. (iii) Subjects heard music through headphones, and there was an aversive noise that would be mute for 15 seconds whenever the response was obtained (or, in case it already were mute at the time of response, being then postponed for more 15 seconds). There were four groups, each of which, of course, was told a different story. The group that's really interesting is group 1. These guys had recording and dummy electrodes. They were not informed that they had any control of the disturbing sound. What they thought was that the study was about "body tension of noise superimposed on music". Thus, they were simply told to "listen through and [oh I love this part] otherwise do nothing". After some time under the experiment, Group 1 subjects started to develop the desired response. After the experiment is over, they found it amusing that the noise in the music seemed to disappear. When told that they were, in fact, controlling the sound, and that their brains had made it go away, they simply could not believe in any of that scientist crap. At all times, our brains are capturing tiny cues from the environment, and trying to do the best it can with that info. Whether we like it or not. We don't even know or feel that that's going on. But it is; and this mechanism is the basis of human intuition. A group of subjects is given 4 sets of cards, and $2000 in fake money. The subjects are told to "maximize profits, show me the money! ", or something to the effect, and... with each card they take from a given set, they get a reward (some money) and a penalty (a fine to pay). Two sets of cards are "good", and two are "bad"; in the sense that the good ones provide something like $50, and low penalties, while the bad ones provide much more ($200) but sometimes have steep penalties, such as $750 to debate from your amount. The point is, when do people learn to separate the good decks from the bad ones? And here is the kicker: after a mere 10 cards, people cannot report anything concerning the good and the bad decks, but... they already generate a stress response to the bad cards ("event A"). Intuition concerns 'immediate knowledge'. The Iowa gambling task gives us clues as to how long, in terms of iterations, one goes from a skin stress response to an unconscious bias to a conscious report of what they're doing. An amazing opportunity would be to provide a FARG architecture for this one. If anyone has the courage to do a thesis on this one, I'm totally in for it. If you'd like, you can play with the IOWA gambling task here: SHOW ME THE MONEY!